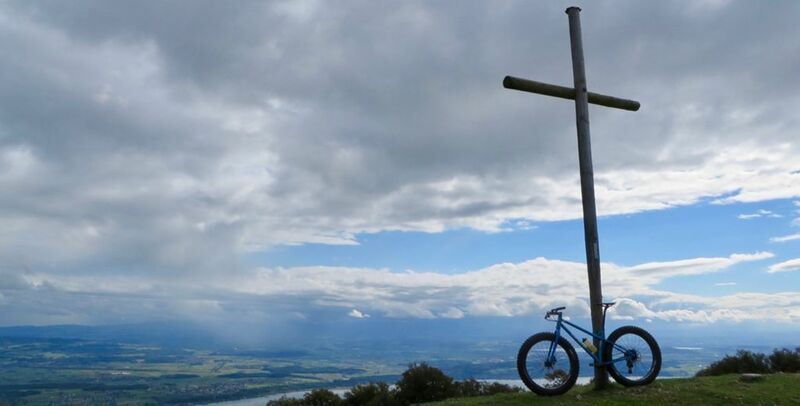 for sunday i had hopes to take the fat-bike out of its usual backyard and hit a few climbs in the western part of the jura. it rained through the night and kept raining on and off in the early morning. i killed some time on my macbook while having breakfast and when i noticed the weather improving, i waited some more to finally head out of the house a little bit after 11am. not to waste any time driving west, i pedaled away right from my doorstep. with changed plans, sunday’s fat-bike loop was a trail-heavy and climb-heavy adventure across the mont sujet. on my way towards evilard i ran into raph, another heavy local strava mileage collector. he was on his way back and we chatted for a while. shortly after meeting him, i ran into something else - a brand-new trail cut into the underbrush - a huge wooden sign marking its entrance. obviously, i had to check it out. 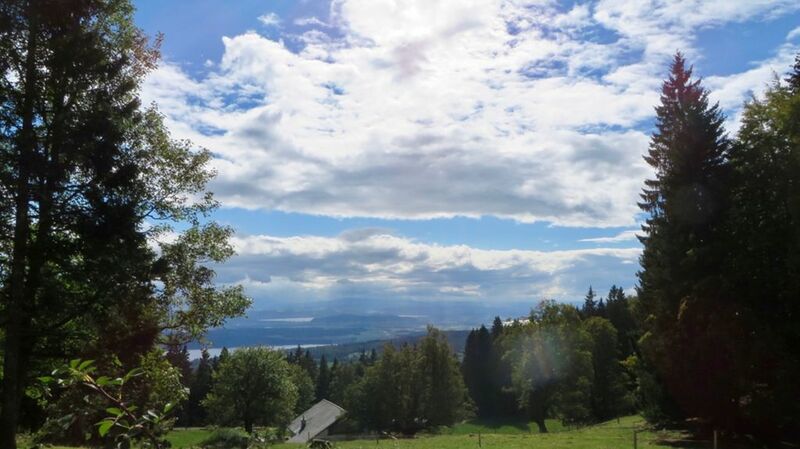 once i was beyond evilard, i steered towards a steep trail that pops out right below the funicular to magglingen. it’s a trail i rarely take as it’s only borderline single-speedable. 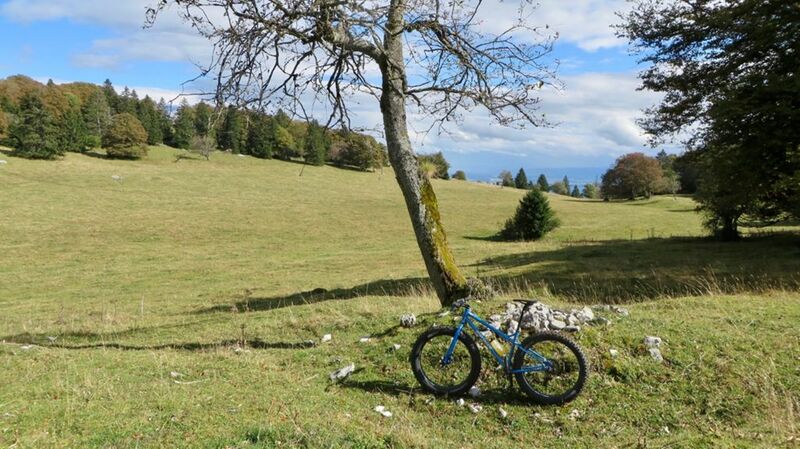 on sunday’s moist limestone even a fat-bike had to be precisely navigated. twannberg, lamboing anddiesse followed to drop me at the foot of the straight climb up to the combe robin. 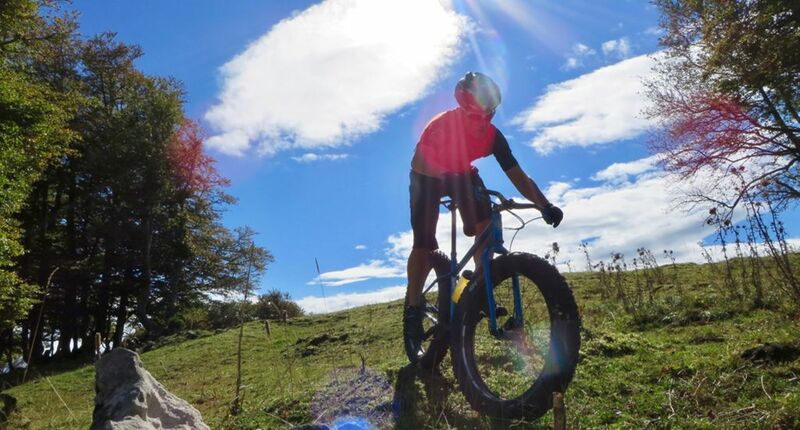 this is another climb where a geared fat-bike excels. i followed the hiking trail to the combe d'enfer and said good-bye to the trail by going fully off-road for the remainder of the mont sujet west-to-east crossing. the main western peak was the first one to be climbed, then the most eastern peak with the large wooden cross had to be conquered. had i been able to start earlier in the day, i would have probably descended north to climb to the place centrale and i was thinking about it for a minute, but ultimately i skipped that extra loop and went down east going off-trail once more to find a passage to the spaghetti trail. i made it to that trail fairly easily - a fat-bike rides across anything as long as it isn’t being stopped by dense undergrowth or large fallen trees. via jorat i returned to the trails i had started on and hit that new trail one more time. more single-trail and less gravel - on a fat-bike that’s always a welcome thing. at home the fatty got its first shower after a week’s riding and was put away for this week’s adventures. 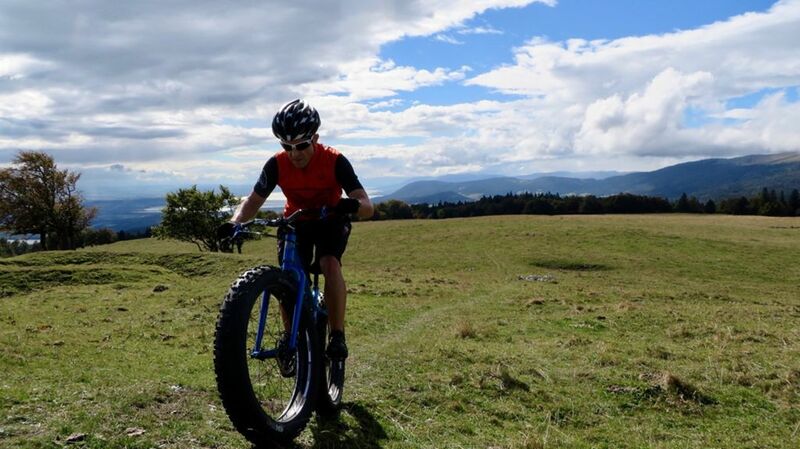 a reblog from a fat-bike needs no trails. Crossed the Spitzberg west to east far off the trails. Lots of fun and no flats. There's lots of thorny little plants that just wait to puncture fat tires. Tried to avoid them as much as possible. Oh and Evilard has a new trail.